Paul V. Timmins | Robinson Waters & O’Dorisio, P.C. 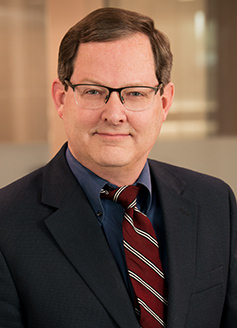 Paul Timmins has over 25 years of experience representing clients in connection with a wide variety of real estate transactions and land use matters. His experience includes representation of developers in all phases of the development process, from land acquisition through annexation, zoning, development agreements, subdivision, preparation of CCRs, marketing, construction, and sales in connection with projects ranging in size from large master planned communities to individual residential and mixed use condominium projects. Paul has also represented purchasers and sellers in the acquisition and sale of residential and commercial properties of all types, lenders and borrowers in loan transactions and loan workouts, landlords and tenants in connection with various office, retail, restaurant and ground leases, and joint venture parties in connection with documentation of joint venture arrangements, including partnerships and limited liability companies.